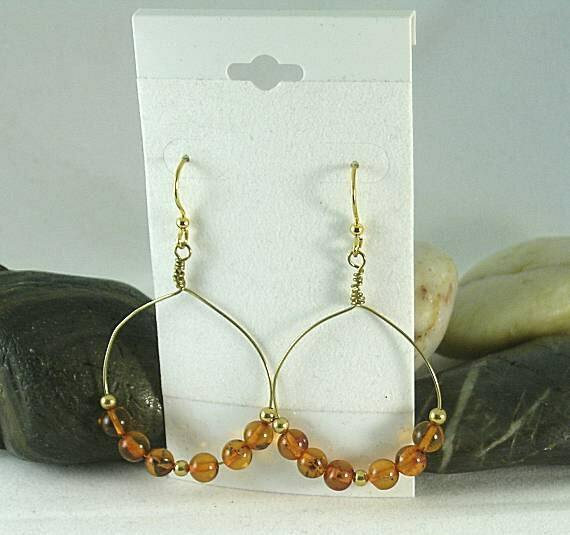 Handmade bronze hoops hold six 6mm amber beads and gold plated spacer beads. 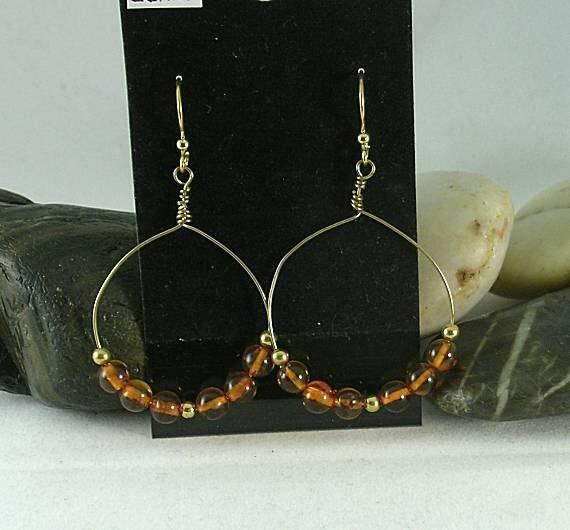 The hoops measure approx. 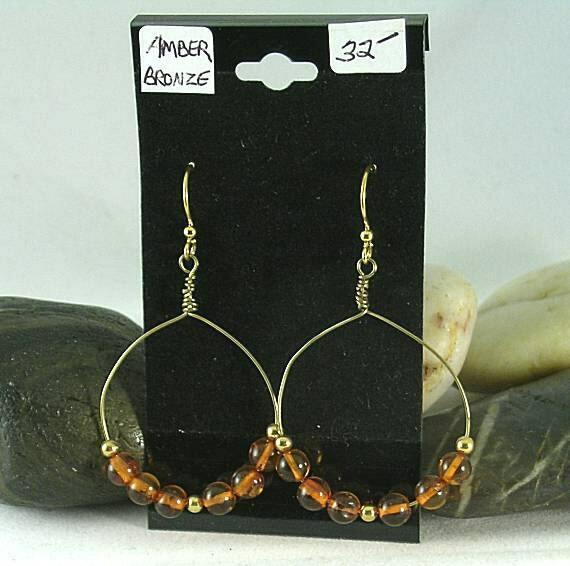 32mm or a about an 1 1/4" in diameter excluding the beads. 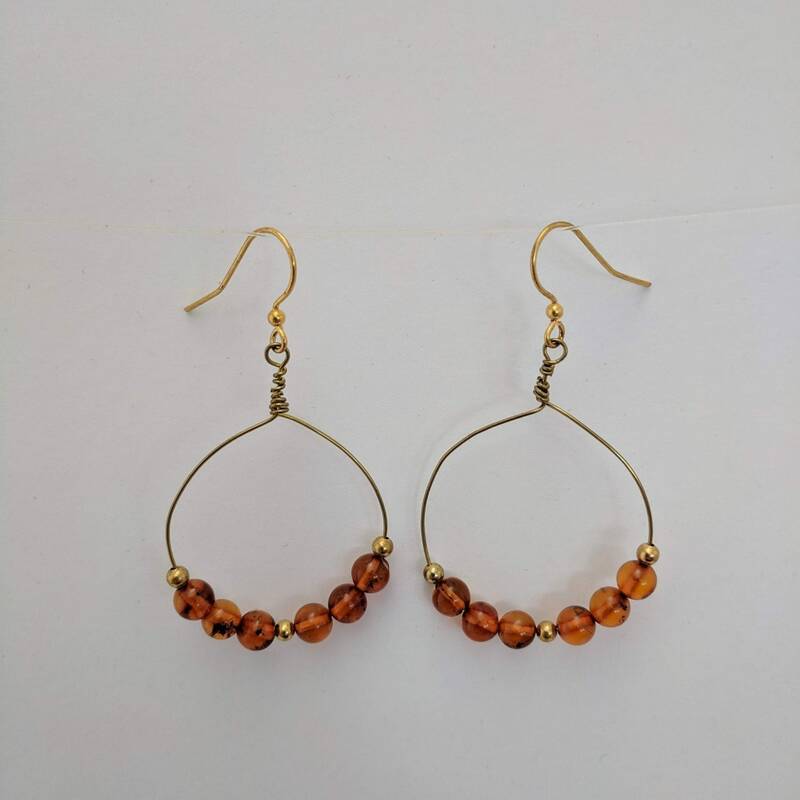 Overall the earrings measure approx. 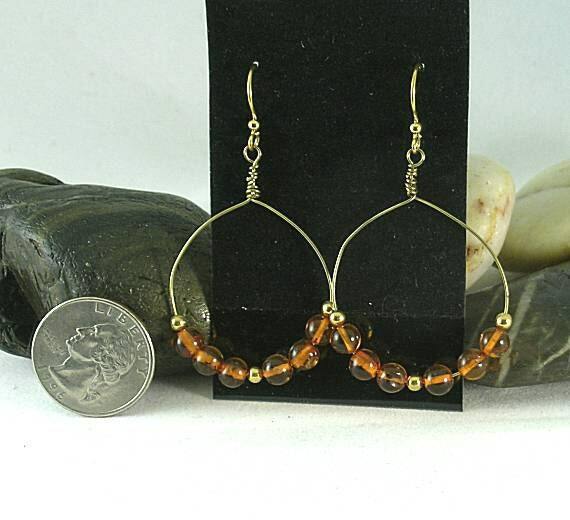 2 1/4" from the top of the ear wire to the bottom of the beaded hoop.